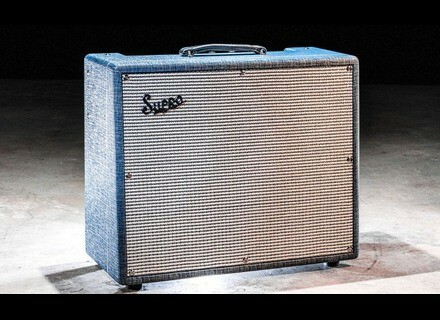 S6420 Thunderbolt, Tube Combo Guitar Amp from Supro. Supro is back and has chosen the NAMM 2014 to introduce several new models. The first two new models to be unveiled by the reborn legendary amp manufacturer are the S6420 Thunderbolt and the 1624T Dual-Tone combo amplifiers. 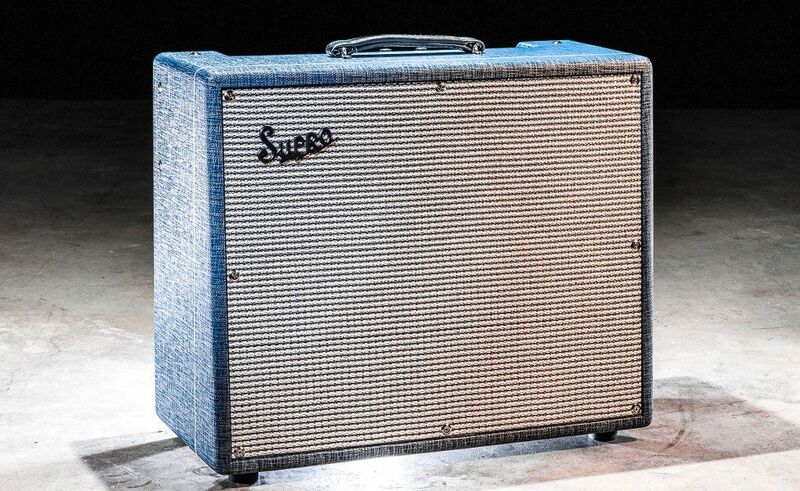 The S6420 Thunderbolt is the 50th anniversary reissue of the 1x15 tube combo from 1964. The amp features a 35W output stage with 6L6 (cathode) tubes, a 15" Supro TB15 speaker and a tolex Blue Rhino Hide finish. There's also a S6420+ version with three-way rectifier switching (35W / 45W / 60W). For its part, the 1624T Dual-Tone 1x12 tube combo is a reissue of one of the amps that is said to have been used to record some of the most celebrated riffs in rock history. It features a couple of 6973 power tubes, two channels, each with independent volume and tone controls (which can be linked together), and a 12" Supro DT12 speaker, plus a footswitchable tube tremolo with speed and depth controls. All models are made in the USA and are expected to ship in April 2014. More info, pics and other models expected soon at the Supro website. Stay tuned. [NAMM] Four new Marshall Handwired amps Marshall completes its Handwired series with three new combos and an amp head. [NAMM] EarthQuaker Devices in Terminal state EarthQuaker Devices to introduce the Terminal fuzz pedal during NAMM. [NAMM] EarthQuaker Devices introduces Pitch Bay Enter Pitch Bay — EarthQuaker Devices new polyphonic harmonizer announced for the NAMM.